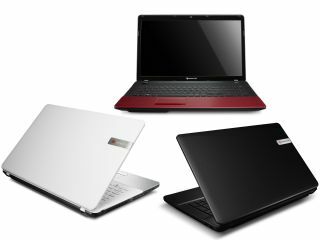 The EasyNote S series from Packard Bell that was promised at CES has been officially revealed. The company's focus on the "lifestyle segment" apparently includes a range of colour varients, a rounded shape and a social networking button which takes you to "the coolest application ever" – PB's social networks aggregator. It's pretty clear that this range is not intended for the Dade Murphies among us, but instead for the not-so-tech-obsessed like families and the design-orientated. The EasyNote S series notebooks have the obligatory focus on HD; not only can the 1.3-megapixel webcam record HD, but there's also an HDMI port and a Blu-ray disc writer for saving HD videos to a disc. There are three sizes available (14-inch, 15.6-inch and 17-inch), all of which have LED backlit TFT LCD displays and multi-gesture touchpads. For connecting to the internet and other devices, the notebooks offer Wi-Fi, Bluetooth and a super-speedy USB 3.0 connector. Backing all this up are various second-gen Intel Core processors depending on model, up to 8GB of memory and the 17-inch models come with AMD graphics processors. The range has a UK release date of February 2011, with UK pricing ranging from £449.99 to £799.99 depending on the model.